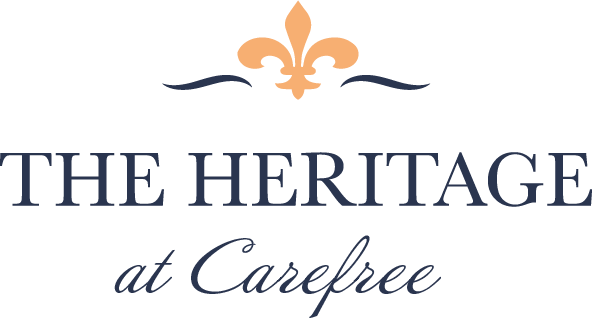 Books/author, current event discussions, fitness classes, bridge, poker, mahjong, bingo, art classes, walking/hiking group, informative lectures, craft workshops, gardening projects, volunteer opportunities, booking and baking classes are just a small list of choices offered at The Heritage at Carefree. Various trips including opera, ballet, museums, gold, horseback riding, day trips to Sedona and surrounding areas, nostalgia, classic, pop concerts, informative lectures, shopping at the malls, sporting games, care and horse shows, dog track races, art galleries, spring training games, community volunteering and award winning restaurants are planned with thoughtful input from the residence and families. Travel within the United States to fun places like San Diego, San Francisco, New York, Las Vegas, as well as cruise or rail road trips; enjoy the opportunity for many educational classes - are but a few of the interests experienced by The Heritage residents.